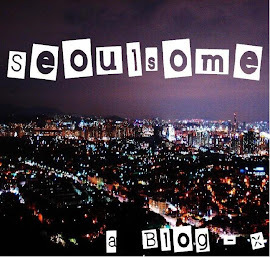 Seoulsome: A little taste of Thailand in Itaewon. Thai Orchid Restaurant. A little taste of Thailand in Itaewon. Thai Orchid Restaurant. There's a small selection of Thai restaurants in Seoul. Although the number is slowly growing the quality can vary greatly at these new establishments. Thai Orchid has been around a few years and for a reason. The food is good at a reasonable price. I've visited a couple of more expensive Thai restaurants. One that springs to mind is 'After The Rain' in Cheongdam. Sadly the high price did not equal higher quality. The food was much more expensive than the food at 'Thai Orchid' but the standard was similar. It certainly wasn't good enough to make me return. Thai Orchid has the balance right, it offers the staple Thai cuisine that you'd expect. Satays, green and red curries, pad thai, stir fried dishes consisting of ingredients such as basil, fresh chili, and ginger with your choice of chicken, pork or beef - all satisfy the taste buds well. They also serve Som Tam salad, some vegetable stir fries with various tasty sauces and spices and some other thai fried rice and noodle dishes. The selection is enough to guarantee there is something you want but not too big to leave you lost. The restaurant itself is pleasant, decorated partially in a Thai style and partially a little tacky (but it is in Itaewon so what do you expect really?!). We visited during the week and the restaurant was half full. Despite this though they were a little slow to seat us and service was somewhat lacking during the meal. We had to actively try and get the waiters attention to place our order. However, the food did arrive promptly as is normal in Korea and was truly scrumptious. We started with a mixed 'Golden Orchid Basket'. It consisted of beef and chicken satays, deep fried prawns and spring rolls. The beef satay was a little tough but it was all up to par. This item seemed a little expensive for the amount we received especially when compared with other appetizers on the menu. I'd recommend ordering the individual items instead. For our main course we ordered chicken stir fried with ginger and mushrooms. This item did not disappoint. It had a great selection of vegetables including baby corn which I don't recall having in Korea before. The flavor was strong but not overpowering. I really liked this dish and was also pleased that they didn't skimp on chicken which some of the other Thai restaurants I've visited have been guilty of doing. One of my key ways of sussing out just how good a Thai restaurant (and trust me I've tried a fair few) is by ordering their pad Thai. I've had the pleasure of visiting Thailand four times, three of these times for extended stays, as a result I've eaten a lot of authentic pad thais in everywhere from the street hawker stalls to 5* hotels. In case your interested to know the best I had cost me less than 10 pence (16cents approximately) at a street vendor in a southern port town called Surat Thani. It was pouring with rain, late at night following an excruciatingly long bus ride from Kuala Lumpur. This pad thai was almost, almost as good as that. At the very least I can say it's the best pad Thai I've had in Seoul. They like to overly spice them here, which is really not how the Thai's make them. This one had a little hint of chili but mainly the lovely sweet and sour of the tamarind sauce and zesty lime. We also ordered steamed rice to accompany our meal but you know what that looks like right?! Overall ﻿the food was pleasing and the price reasonable, just under 50,000won for two people. The service needs to be improved upon to really make this into a great Thai but since this is Korea I guess we can't be toooo fussy. ...and one last one of the partly naff but also kind of cosy area to sit in. Don't expect the waiter to see you here though. Look for these signs - it's on the 3rd Floor. Thai Orchid is located on the third floor above 'Black Orchid' and (unsurprisingly) cafes just across from the 'Imperial Palace' Boutique hotel on Itaewon's main street. You can call them on 795-3338 or visit their website here. Leave me a comment and let me know what you think if you visit.